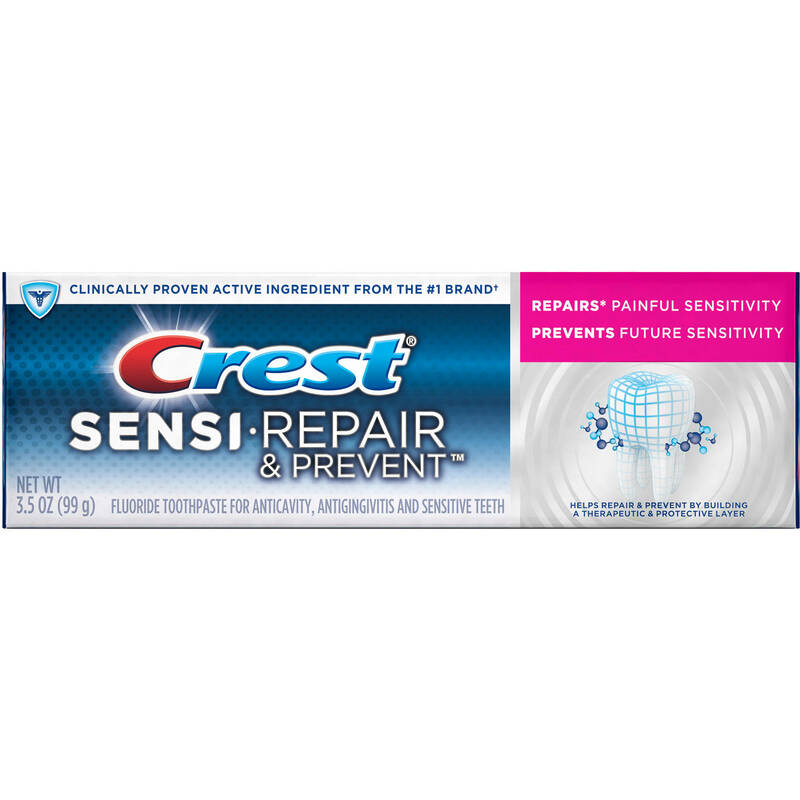 Crest Sensi-Repair & Prevent Toothpaste is formulated with our active ingredient, stabilized stannous fluoride, which effectively addresses sensitivity by building a therapeutic and protective layer on the dentin that blocks dental tubules and the fluid movement to the nerves that causes sensitivity pain. With continued use, the smear layer continues to develop, providing relief from sensitivity pain, and builds increasingly protection against tooth sensitivity. It also helps protect against these areas dental professionals check most: gingivitis, plaque, caries, staining, calculus, and halitosis.